Colombo Fort Magistrate Ranga Dissanayake yesterday ordered the Criminal Investigations Department (CID) to submit substantial evidence against the former Terrorism Investigation Division (TID) Director, former DIG Nalaka de Silva. Nalaka de Silva was further remanded till April 23 by the Colombo Fort Magistrate Ranga Dissanayake. He has been allegedly accused of plotting to assassinate the President, former Defence Secretary Gotabaya Rajapaksa and SP Prasanna Alwis. Nalaka de Silva through his counsel had earlier made a request to acquit him from the case. The Magistrate yesterday observed that he will have to verify certain issues prior to making an order regarding the request.The Magistrate stated that the CID had filed this case before arresting the suspect under the Prevention of Terrorism Act. After that, CID had produced the suspect before e court under the Criminal Procedure Code. 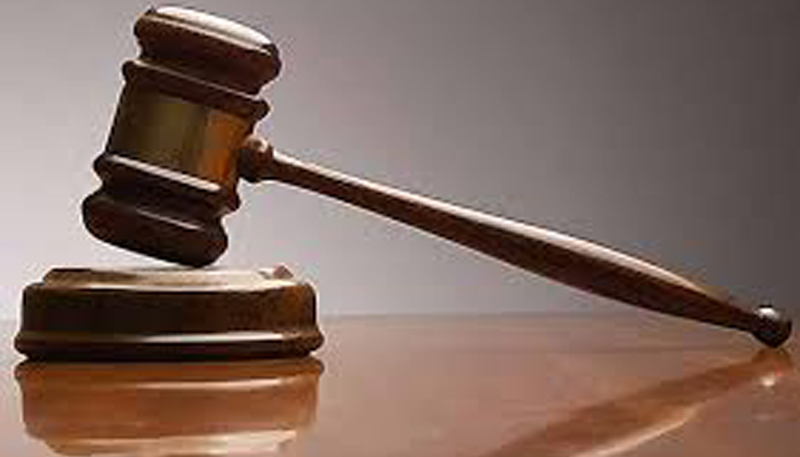 Deputy Solicitor General Dileepa Piries appearing on behalf of the Criminal Investigations Department yesterday informed court that the suspect had filed a Revision Application before the Colombo High Court without informing the Magistrate’s court. He further stated that the Colombo High Court had already dismissed a revision application filed by Nalaka de Silva. Attorney Ajith Prasanna appearing on behalf of Anti-Corruption Movement Director Namal Kumara informed the Magistrate that his client seeks protection under the protection of Victim of Crimes and Witnesses Act. Counsel Prasanna further stated there are death threats to his client from several politicians, Police officials and several underworld criminals. Attorney Ajith Pathirana appearing on behalf of Nalaka de Silva stated that there is no evidence against his client to remand him further.Counsel Pathirana also stated that the Namal Kumara had submitted forged educational certificates to join the Sri Lanka Army and the Air Force. Counsel stated that the CID was unable to take necessary legal action against Namal Kumara. Counsel Pathirana pleaded to issue an order directing the Prison authorities to provide medical treatment for Nalaka Silva. Responding to that, Deputy Solicitor General Dileepa Peiris asked for an initial medical report to prove the health situation of Nalaka Silva. The Magistrate ordered the CID to submit a detailed report regarding the deleted conversations retrieved from Namal Kumara’s mobile phone. Deputy Solicitor General (DSG) Dileepa Pieris informed the Colombo Magistrate’s Court that notorious underworld criminal Makandure Madhush will arrive in Sri Lanka within the next two weeks. DSG Peiris also stated that former DIG Nalaka de Silva had connections with singer Amal Perera, who was arrested along with the Makandure Madhush in Dubai. Peiris stated that they are conducting a separate investigation regarding the connection between Amal Perera and Nalaka Silva.